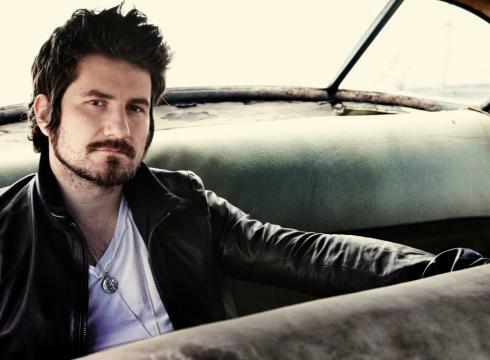 Known for his of songs being featured on soundtracks like American Pie and American Wedding and on TV shows like Good Morning America, Matt Nathanson has definitely had his share of success with his touring being the most popular request among fans. With his shows being a mixture of songs and stand-up comedy, there's something for everyone. His new record Show Me Your Fangs shows that although he's had many years of releasing albums, he's still capable of releasing new, fresh alternative material. Don't be alarmed by the cover of the album by the way, it doesn't actually contain any racist or offensive music at all. This is the perfect album for anyone who wants something different but no too out of their genre to listen to, maybe going on a roadtrip or just want to tap their feet to a new beat. I hate that I din't discover Matt before this week, he's such a great artist and look forwarding to hearing more of his work. You can buy 'Show Me Your Fangs' on iTunes or stream it on Spotify for free. Follow Matt on Facebook, Twitter and Instagram to see what he's up to and where he's stopping on his tour. Don't forget to follow me on Bloglovin' to see what I'm posting next.